Alness parkrun : We can see the sea!! It was time to do something about that. The parkrun starts off in the town’s Crawl Park. We found the car park and wandered in to join our fellow runners at the start for the pre-race briefing. 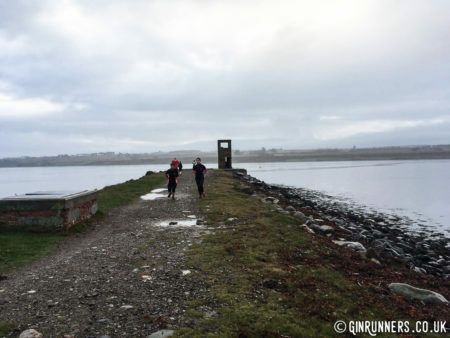 The course description sounded quite interesting, we’re sure we herd something about a disused airfield and a jetty out into the Cromarty Firth. We love a bit of history, bonus. There was no time for the usual pre-run nerves though, after the short briefing there was a shout of 3-2-1-GO!! from the race director and we looked at each other… was that it?? Well, judging by the fact every one had taken off, it must be. The first section of the run took us along the side of the river. The path here was quite narrow and covered in wet leaves so a bit of care had to be taken. After a bit we left part 1 (the forest) and followed a path under the main A9 road towards part 2, the airfield. This section was a mixture of “proper” path and grass, but that’s not what we remember it for. We remember it mainly because you came out of the subway under the road and there’s a bloody big oil rig right in front of you. Now we’ve mostly ever only seen photos of these before, so seeing one close up was quite an experience. After the dash across the airfield (Tally ho chaps, where’s my Spitfire ???) the third section of the run was just SOOOOOOO cool. We headed to the shore then out on the aforementioned old stone built jetty into the Cromarty Firth. This is known locally as the Yankee Pier and a quick google search turns up that it was part of an American WW1 torpedo base. At the end of the jetty Mhari (she’s a parkrun fixture there, apparently) was waiting for us with a smile and an encouraging word. This was the half way point where we turned round and headed back the way we’d came… as it was either turn or start swimming. Must be the only parkrun turning point that’s in the middle of the sea. I bet it’s an fun place to stand when the weather is interesting. I wonder if Mhari hides in the wee watch tower thing? From here there’s only the small matter of the 2.5K run back to the start. Not quite sure why I ducked (again) going through the tunnel under the A9 though. I’d fitted on the way out and didn’t think I’d grown much taller by the way back. By this point it was just a case of keeping a steady pace and getting back to the finish. After crossing the line Alness threw up another brilliant wee surprise. Along with the timing chips there was fresh fruit awaiting us. Watermelon after a race, what a BRILLIANT idea !!! 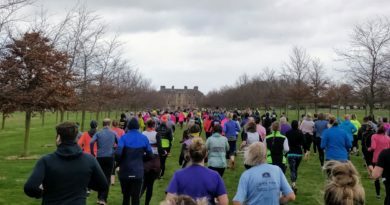 As we regrouped for the drive home a question arose… what actually makes for the perfect parkrun? 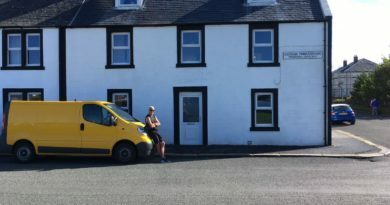 I mean Alness is a flat out and back just like Edinburgh, so why does it feel so different? We think it’s because at Alness there’s never a dull, straight bit. You can’t see that far along the course in front of you and the scenery is constantly changing which breaks things down into more mentally manageable chunks. It also helps that it’s a much smaller event, it just feels friendlier and less like a “race”. Whatever Alness has, it certainly worked for me, I took a minute and a half off my parkrun PB. 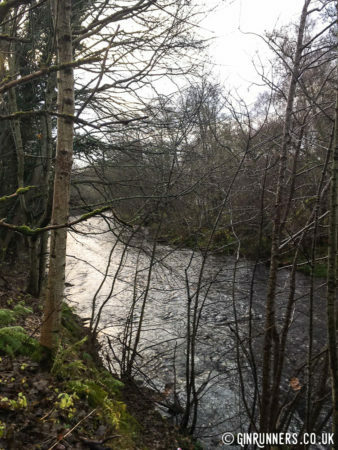 Whatever makes for a perfect parkrun, Alness has it. Awesome volunteers : Obviously !!! Honestly, what’s not to love??? 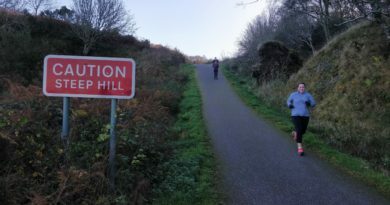 If you’re looking for a parkrun which has pretty much everything, then you’re hard pushed to beat this one.